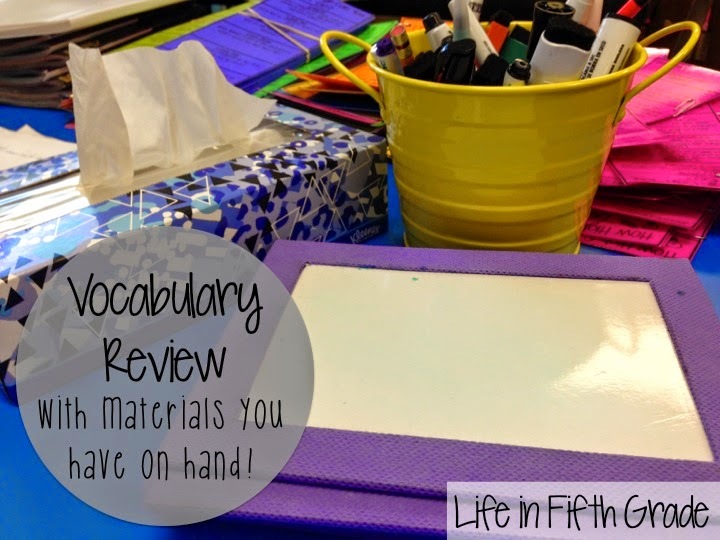 A Fun Vocabulary Review Activity with Materials You Already Have! One of my goals this year is to increase vocabulary and do a better job of vocabulary instruction. I am loving Babbling Abby's Interactive Vocabulary notebook. We have been doing this for the past three weeks and I LOVE it! We've also been doing a new vocabulary review "game" that has helped SOOO much! I can't tell you how much better the vocabulary part of the test has gotten each week! The best part (aside from the great grades!)? Chances are, you already have the materials on hand to "play"! Here's what you need. Number your kids off 1-5. All the 1's are a team, 2's are a team, etc. Assign spots in your room for teams to gather. Call out a vocabulary definition. The team that can come up with the correct word and write it on the marker board first gets the point. They LOVE this game! I came up with it at the end of last year and gave the winning team bonus points on the test. It has helped the kids practice vocabulary words tremendously! 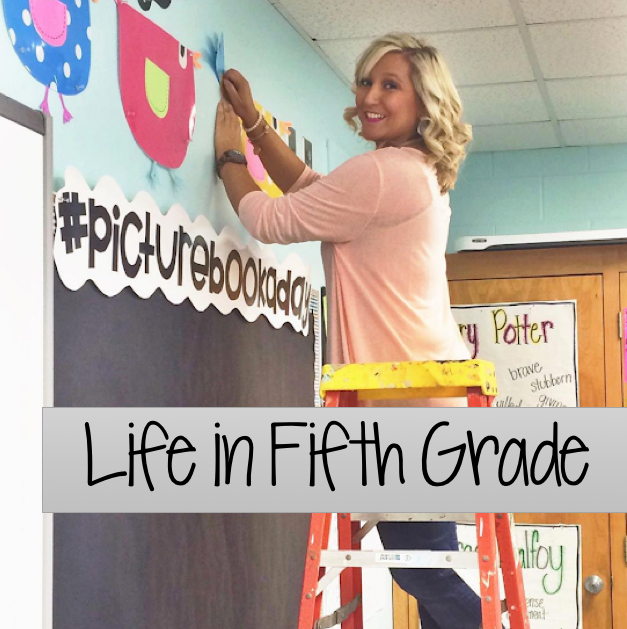 What are some fun activities you do to increase your students' vocabulary or review? I'm curious about your game, you said you call out a vocabulary word and the team that comes up with the correct word gets a point. Are they coming up with a synonym? She said she calls out the vocabulary definition. I like the idea, Holly, of having them come up with a synonym, too. That seems like a good bonus point opportunity!